Phil founded Payment Systems Consultancy in June 2015. He possesses extensive skills built up in senior roles at a number of high profile financial organisations (including CEO of CHAPS – the UK’s High Value Payment System, and Operations Director at CLS – the cross-border FX Settlement body). He has strong experience in working with key stakeholders such as Regulators, Boards and Trade Associations. He has served at Board level both as an Executive and Non-Executive Director and is well versed in Board Governance and Board Effectiveness. 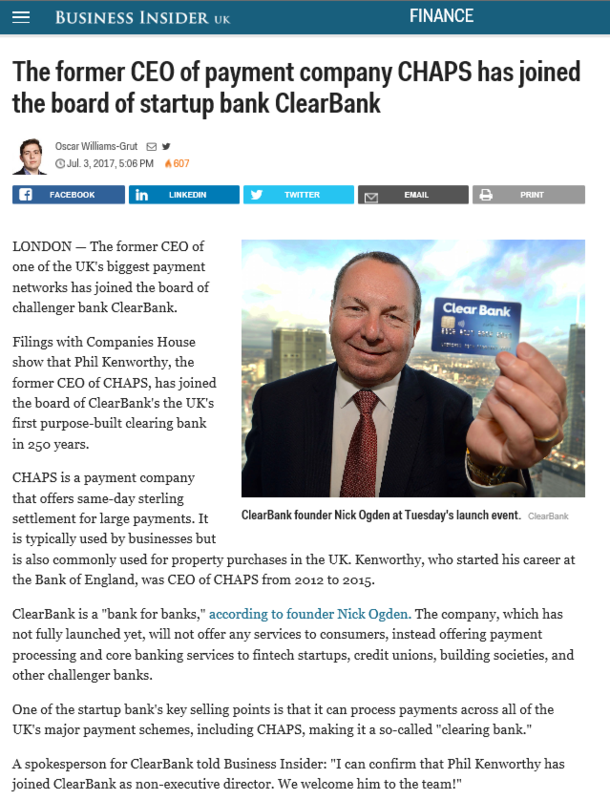 His most recent Non-Executive appointment was to the Board of ClearBank® in July 2017. He sits on Huntswood’s Advisory Panel and is the Lead Reviewer for the London Institute of Banking and Finance’s CertPay Qualification. He also sits on the recently established Access to Cash Review Panel. He has specialist knowledge of the operation of Payment Systems and associated settlement, FX, risk management, OFAC and CPMI-IOSCO compliance, Corporate Governance, operational resilience and business continuity, IT out-sourcing, development and security. In addition, he has experience of start-ups and turnaround situations and has strong communication and interpersonal skills.